A decade after Hurricane Katrina devastated New Orleans, more than halving the city's population from 455,000 to 210,000 residents, the Big Easy is coming back. 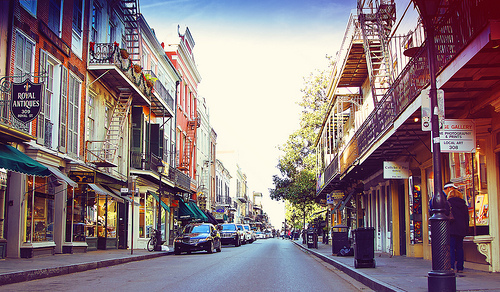 According to the U.S. Census Bureau, New Orleans' population has climbed past 378,000. Demographically, the population is roughly 60 percent African American, 33 percent white, 5 percent Latino, and 3 percent Asian. Post-Katrina New Orleans has brought new residents, but racial disparities and inequalities persist and, in some cases, have been exacerbated by an influx of wealthier, whiter residents. Community wealth building activists and city leaders have sought to respond to a city that is increasingly vibrant but which has also left many residents behind. A 2012 university study, for instance, found that only 48 percent of adult African American male residents in New Orleans had jobs in the formal labor market. Community wealth building organizations have risen to try to meet at least part of this challenge. For example, Propeller, founded in 2009, has created a 10-month Social Venture Accelerator that supports early-stage social ventures; to date, 50 new ventures have created more than 100 jobs, including community farms, a food hub, and a maternal health collective. Good Work Network since 2006 has served over 4,050 individuals, helping businesses create over 340 jobs and raise over $2,600,000 in business capital, as well as assisting with the start-up of 300 minority and/or women-owned businesses. The New Orleans Business Alliance has also played an important role in promoting economic inclusion. Guided by its Prosperity NOLA report (issued in 2013), the business alliance has been convening stakeholders and working with the Mayor’s Office and other actors in an effort to ensure that more than $6 billion in public investment in the development of a Biomedical District, a new airport terminal, and stormwater infrastructure is leveraged to develop job pipelines and small business procurement opportunities that build community wealth in city neighborhoods. City government has also played an important role in this process. In March 2010, former Lieutenant Governor Mitch Landrieu was elected mayor of New Orleans. His first term was marked by the Transition New Orleans initiative, which launched 17 task forces that sought public input from hundreds of experts and community leaders on how best to move forward with the revitalization of New Orleans. In his second term, Landrieu has turned his attention more specifically to job creation. 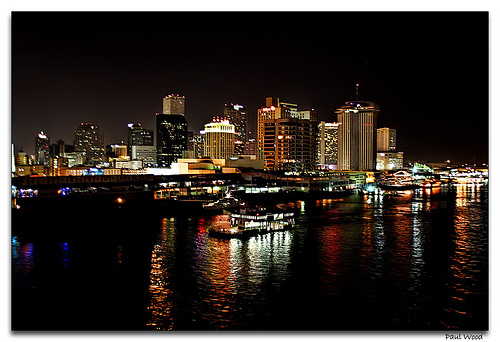 Launched in September 2014, Mayor Landrieu’s Economic Opportunity Strategy aims to partner with the city’s anchor institutions, especially hospitals and universities, to recruit, train and connect the city’s hardest-to-employ residents to jobs and match local businesses to opportunities for growth. The strategy also seeks to create worker-owned cooperatives that can meet anchor institutions’ procurement and purchasing needs, thereby creating quality employment and wealth building opportunities. Started in 2008, Hollygrove Market & Farm is a non-profit urban agriculture-training farm and produce market located in the heart of New Orleans. Hollygrove also runs a Community Supported Agriculture (CSA) program, coordinating and providing a stable market for more than 50 local - rural and urban - farms. As of 2009, Hollygrove had redeveloped an acre of blighted property into community garden plots, composted several thousand pounds of unmarketable material, given more than $5,000 in edible donations, and purchased more than $168,000 in local produce. Committed to increasing access to affordable, healthy food, Hollygrove also offers discounted produce to community residents, students, and people using an EBT card.